This post is off-topic from the normal astro-politics. The Oakland party fire which has made national news is in my "backyard", so to speak. One of the DJ's, missing and presumed dead, worked in my department in my music-industry job. 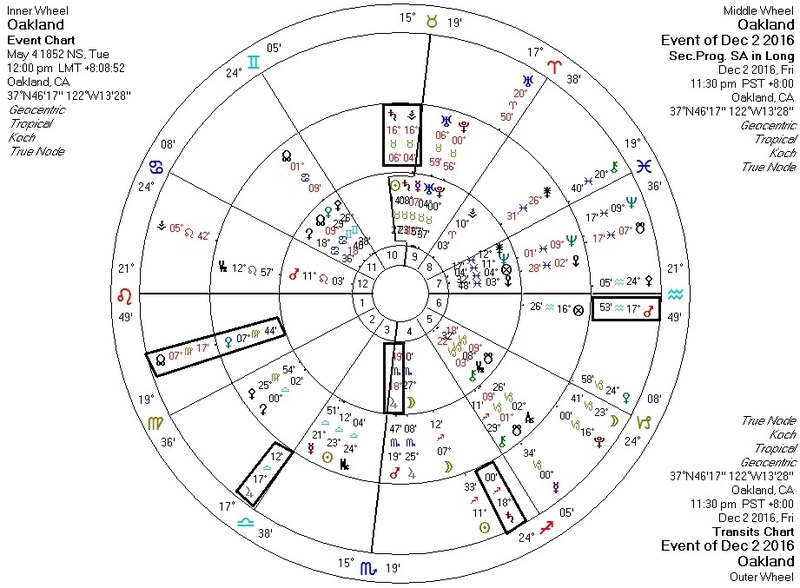 Here are some transits and progressions against the horoscope for the city of Oakland at the start of the fire. Transiting Mars (fire), transiting Saturn (structure), transiting Jupiter (community? ), progressed Saturn and Vesta (fire again?) all in aspect to Oakland Jupiter.